Dina Dastur Mehta: Co-Founder, Convo Research and Strategy, is based in Mumbai, India. With a background in sociology and anthropology Dina has twenty-five years specializing in qualitative research and ethnography. She works with organisations to uncover new possibilities, frame opportunities and design solutions that accelerate business growth. Convo creates immersive and real-time learning environments online and offline, and aims to reveal new stories and metaphors as well as develop deep insight to stimulate strategic conversations about change. Dina has covered a wide range of products and services in consumer durables, FMCG, social sector, foods and beverages, financial services, healthcare, technology, social computing, mobility, automobiles, luxury products, etc. Working with multidisciplinary teams, her findings form the basis for innovative products and services for emerging consumer markets in the developing world. She loves conducting technology trends research in urban and rural India and works on projects with global companies, including learning journeys and immersions, and co-creation workshops for innovation teams. She’s particularly fascinated by emerging mobile and social technologies – the way they change how people live, love, work and play; the needs they fulfill, the pain points they resolve. 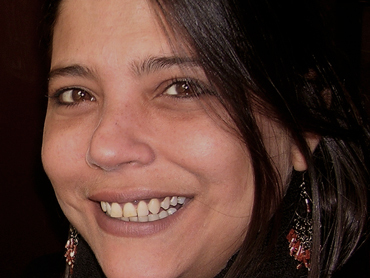 Dina has also guided many online networking communities and non-profit organisations, and calls herself an accidental information activist. Her perspectives, blogging and participation in social media have earned her acclaim, and she is a TED Fellows. She has presented papers at Indian and global conferences on social media evolution, emerging qualitative and ethnographic research practices like blographies and participant co-creation, future of insights, etc.